Abbie has 30 years experience in the Accounting/Administrative field. She has worked in Sequim as an Accountant and Office Manager for the last eight years. She was the Sequim Lavender Festival Administrative Event Coordinator during the 2002, 2003, 2004 festivals. Abbie also volunteers as Finance Assistant at West Coast Sea Kayak Symposium and occasionally for Sequim Middle School. She has a few years of High School Theater experience, two years as a production assistant at Access TV Television studio in Tucson, Arizona and some experience as a costume shop apprentice helping develop affection for theater and all its aspects. The Board of Trustees, members and volunteers of Olympic Theatre Arts wish to express their sincere gratitude to the community members who so generously donated to our recent 100 day $100,000 Matching Gift Campaign. Contributors include 177 individuals, 32 households, 8 businesses, 2 community groups, and 2 foundations. Gifts ranged from $10 to $10,000. Proceeds from our Tony Awards night, “Lavendula” bench raffle, and donations for parking at the Lavender Festival helped us push past $108,000. This support truly demonstrates the value placed on the arts and the need for a theatrical/cultural arts center. The funds raised from our Matching Gift Campaign will help us get back into the theatre. Please note: If you purchase your tickets online for any weekend performance on a Friday after 4:30pm, a Saturday or Sunday be sure to print your receipt and bring it with you to the show. You may also purchase your tickets at the door. Nan works as an accountant She is also Voice and Bell Choir Director at St. Luke's Episcopal church and has acted for OTA and other venues in the County. Actor, singer, stage manager, director, business owner. Theatre Arts Major at Los Angeles City College. Ric has directed and acted in numerous OTA productions. Ric says he has an incredibly understanding wife and 3 cats. He has lived in Sequim for over 10 years. You are invited to a special RED CARPET event. The Tony Awards evening will feature valet parking, a fabulous seven course dinner with wine parings, and will start at 5:30 PM with wine and appetizers served in a Rose Garden setting. At 6:30 PM you will be seated in a beautiful room on second floor overlooking the water for the seven-course dinner. There will be two large-screen TV’s to enjoy watching the Tony Awards witch will start at 8 PM. 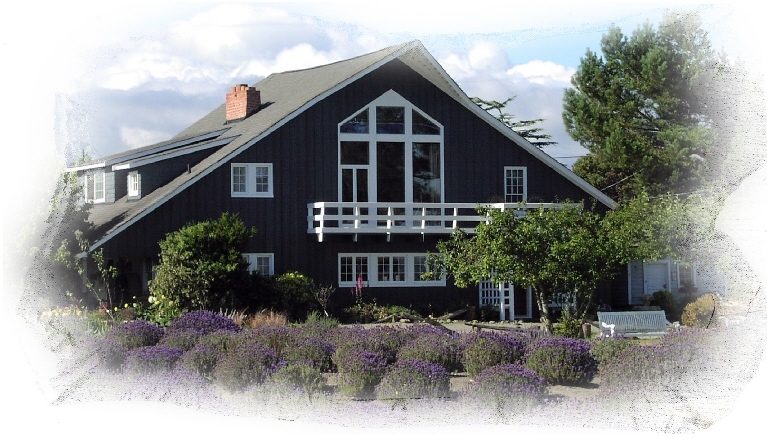 The Barn-house on Marine Drive has stunning views of the Strait of Juan de Fuca & Olympic Mountains. Here is a chance to really get dressed up... just like they do for the Tony Awards in New York. Also, all the proceeds from this fundraiser event will go to the $100,000 Matching Gift Campaign. Attend this event and your donation is double. How great is that! This will be an event that will be talked about! Only An Orphan Girl - December, 1982 - Director Richard Waites - Sequim High Auditorium Fundraiser for renovation of new theater.